Chef knives are essential tools for anyone working in a kitchen, even the beginner. How do you know which one to use for each task? 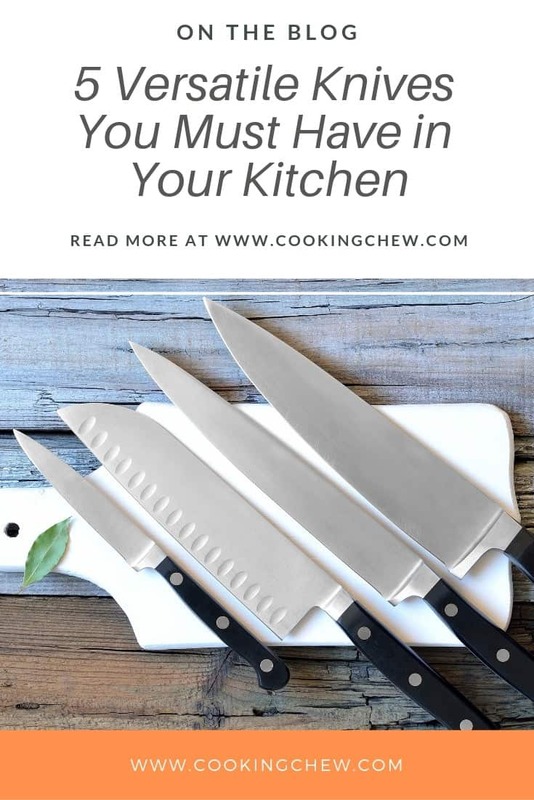 While there are many chefs knives in UK that you can use in your kitchen, there are some essential ones that are must-haves for your kitchen. Originally used to slice and disjoint large parts of beef, these are now widely accepted as a general utility, versatile kitchen knife. 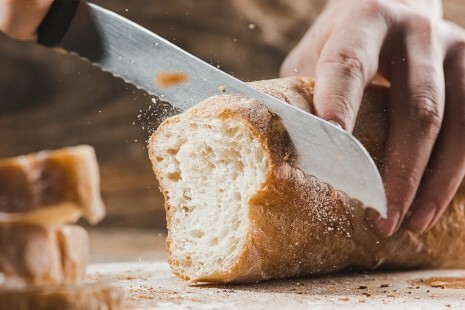 For more precise control, most cooks prefer to grip the blade itself, with the thumb and the index finger grasping the blade just to the front of the finger guard and the middle finger placed just opposite, on the handle side of the finger guard below the bolster. This is commonly referred to as a "pinch grip".​ Those without culinary training often grip the handle, with all four fingers and the thumb gathered underneath. This is the knife that is used to slice or dice vegetables, fruits, meat and fish. Remember that this is not the knife to be used for carving. Pro Tip: Keep your knife blades sharp! A DULL blade can be dangerous because the blade can slip instead of slice. This is to be used when you need to dice or mince garnishes. It’s easily handled for peeling and cutting items which are too small for a chef’s knife—turning a radish into a rose, for example. Remember not to cut tough and hard vegetables with this type of knife. It’s an all-purpose knife, like the chef’s knife above, but not as large. This is the knife you need for all your work with bread, because it will slice without crushing. These knives come with an average blade size of 8 inches. This one comes in really handy not only with breads but also with foods that have a waxy surface like tomatoes or citrus, or tough exteriors like pineapples, or super-smooth skins such as watermelons. This type of knife should be used for slicing and not chopping. 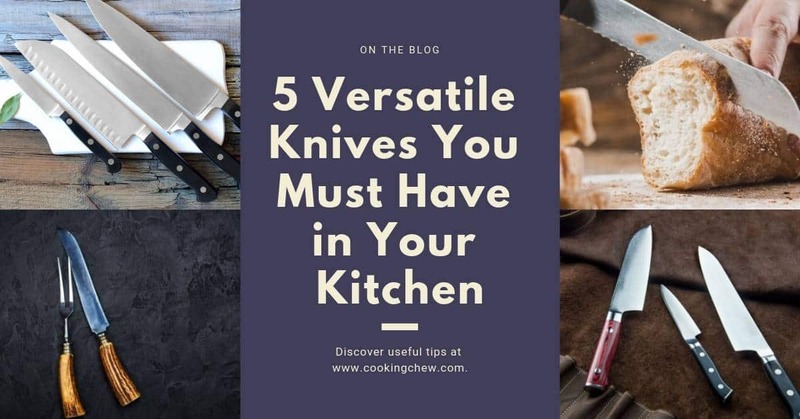 It is recommended not to use this type of knife to slice smaller things like herbs, garlic or berries, as the blade macerates the surface of what it cuts. 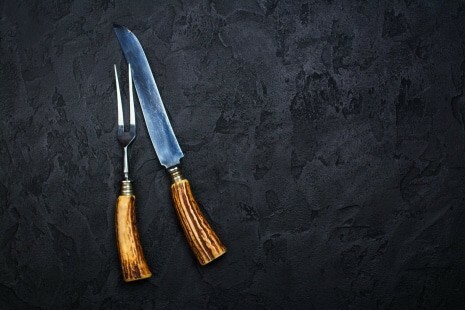 Household dinner steak knives are serrated to help cut through tough cooked meat. 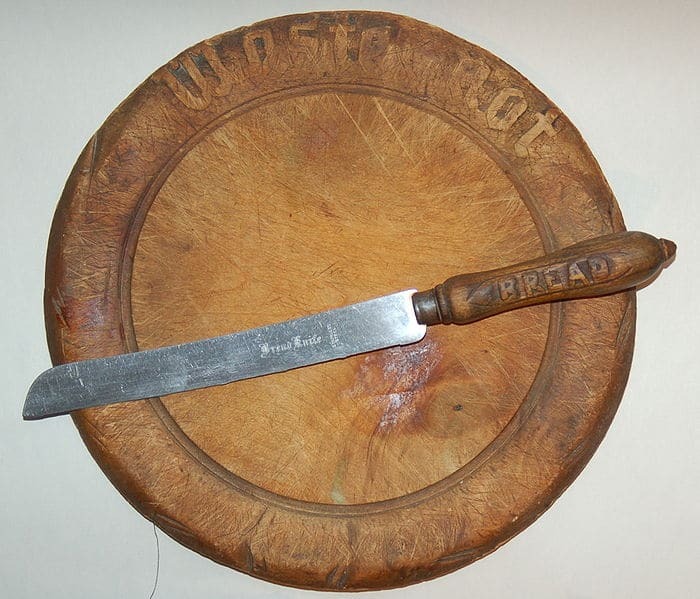 Also known as a slicing knife, this one is useful for carving/slicing poultry and meat. The long blade length (around 15 inches) of this type of knife allows the user to move the knife in a sawing motion without macerating the surface, and the thin blade allows for precise cuts while slicing. 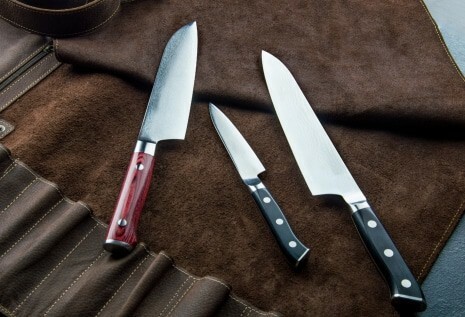 These are the type of knives that are used to cut pieces of ham, turkey or beef at holiday feasts. Did you know? The holes you might see in some knife blades are there to help prevent food from sticking to the blade as you slice. Get this freestanding blade sharpener from Amazon. Or read some of our reviews of sharpening steel here. Also called a filet knife, this is the one that’s used for all the deboning of fish, meat or poultry. Note the difference that a boning knife is not meant to cut through bones but rather the flesh around bones. These type of knives come in lengths of 5 or 6 inches. Stiff blades are used for beef and pork, and flexible blades for fish and poultry. Pro tip: Curl your fingers inward while holding food to help avoid injury. 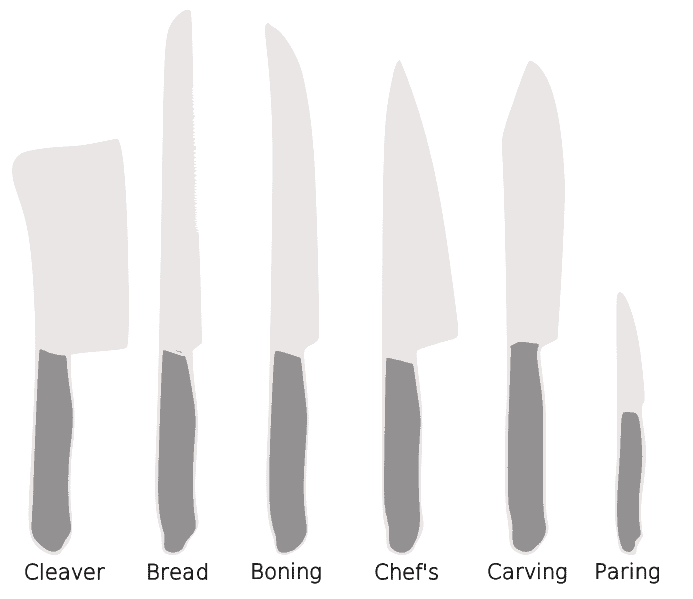 There are many different kinds of knives to serve the cook in the kitchen. Even for the beginner cook, a nice set of kitchen knives will empower you to learn the best that cooking and baking has to offer. Just remember, when it starts to feel like you are exerting more pressure than normal, it’s time to sharpen your knife blade. Learn about Japanese Knife Techniques in this book from Amazon.